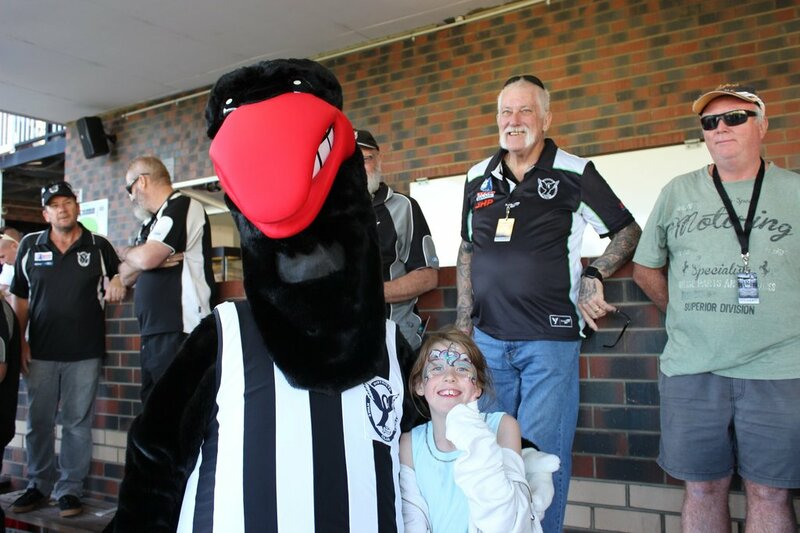 SWAN Districts have the task of causing the upset of the round against Subiaco on Saturday at Leederville Oval but the black-and-whites are motivated for the challenge of staying right in the WAFL finals race. Swan Districts is the latest team to have the job of trying to hand Subiaco its first loss of the season but the black-and-whites will at least by buoyed by returning to the winners' list themselves last Saturday while the Lions only just managed to win a 14th straight match. Swans had lost six matches in succession heading into last Saturday's contest with East Fremantle at East Fremantle Oval. While it might not have been the most impressive of performances, Swan Districts did at least do enough to come away with the crucial 34-point victory that kept their season alive. 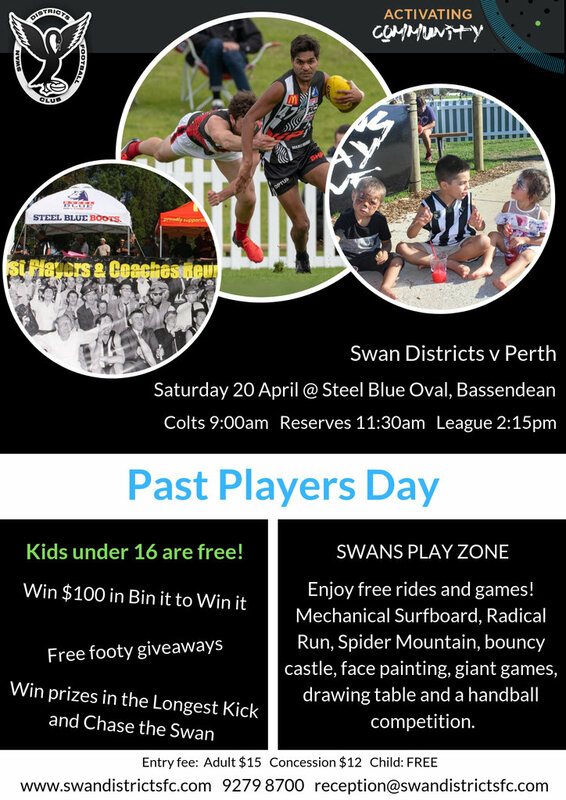 The result saw Swan Districts improve to a 6-9 record on the season and that has them just percentage behind the fifth placed East Perth and a win on Saturday against Subiaco could very well put Swans back in the top five. But that is certainly going to be easier said than done especially considering the way the first two games of 2018 have gone between the two teams. The first meeting was back in Round 3 with both sides undefeated but that didn’t last long with Subiaco hammering Swan Districts by 96 points at Leederville Oval despite an encouraging start from the black-and-whites. It was a similar story in Round 12 at Steel Blue Oval with Subiaco also beating Swans by 82 points so it will take some turnaround on Saturday by the black-and-whites. Going back further, Subiaco has won its last seven matches against Swan Districts by an average of 59.7 points. Swans' last win against the Lions came in Round 20, 2015 but giving hope of an upset was the fact that Subiaco was raging favourites that afternoon and would go on to win the minor premiership and the premiership, but Swans still found a way to come away with an inspired win. With Swan Districts having the bye to come either side of clashes with South Fremantle and Claremont, it's going to be a real challenge to reach the finals without a win on Saturday. Subiaco might be guaranteed of a fourth straight minor premiership no matter the results the rest of the home and away season, but the Lions would have been glad to have gone through a tough contest last Saturday against Claremont where they prevailed by three points. That was the first genuine time in 2018 where they have taken part in a game where the result was up for grabs at time-on in the last quarter. 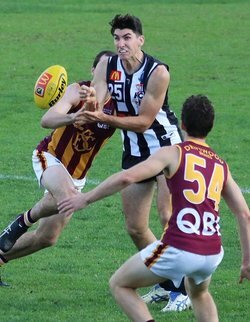 The challenge is right ahead of Swan Districts to take it up to Subiaco to try and hand them their first loss of 2018, but the reward would be the boost it would give to the finals hopes of the black-and-whites. A win would even likely see Swans return to the top five and the hopes will be helped with the return of 172-game veteran on-baller Matt Riggio from suspension, but that's somewhat offset with the loss of 137-match wingman Freddie Clutterbuck. It's a vastly different looking Swan Districts team than the one coach Adam Pickering might have envisioned coming into the season with David Ellard and Jarrad Blight still out injured, Todd Banfield having retired, Levi Ridley departed and then the likes of Matthew Rogers, Adam Faulkner and Taryce Stewart in the reserves for a variety of reasons. But there have been exciting signs in recent weeks from youngsters coming into the Swans team including Patrick Italiano, Tristen Raynor, Graydon Wilson and Jack O'Sullivan. Jarred Cameron and Mitchell Bain are two more potential debutants on Saturday for Swan Districts to take on Subiaco at Leederville Oval with Ethan Maguire in the mix to return to the line-up after some good form in the reserves. Subiaco is coming off being tested for the first genuine time in 2018 and it will be interesting how they come out and respond to that against a team they have had a good time against so far this season. In terms of the selection table, 100-game veteran tough nut Adam Cockie could have finally forced his way into the league side for the first time in 2018 after a solid run now in the reserves after missing much of the first half of the season. Sharpshooter Kyle Halligan also looks right to make his return and to play his first game since Round 7. Up until that point he had kicked 13 goals for the season and he will be a valuable piece of the Subiaco forward-line again heading towards the finals. Clancy Wheeler just hasn’t been able to have a good run at it so far this season and after making it in for his first six league appearances of the year, he got hurt early in Round 14 against Peel before missing the past two wins against South Fremantle and Claremont. But Wheeler will also return and take part in a forward-line featuring Halligan for the first time in 2018 but Rhys Waters remains sidelined and leading goalkicker Brad Stevenson is back out of the Lions' side. Justin Joyce is also a chance for his first league appearance of the season for Subiaco.